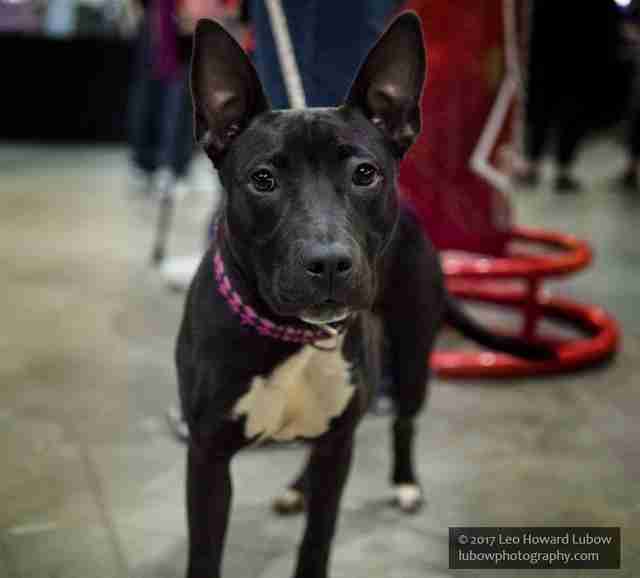 Last weekend, over a thousand animal lovers packed into a sports arena in Baltimore, Maryland, to see adoptable shelter animals prance down a runway. But an unexpected announcement gave the crowd more than they bargained for. 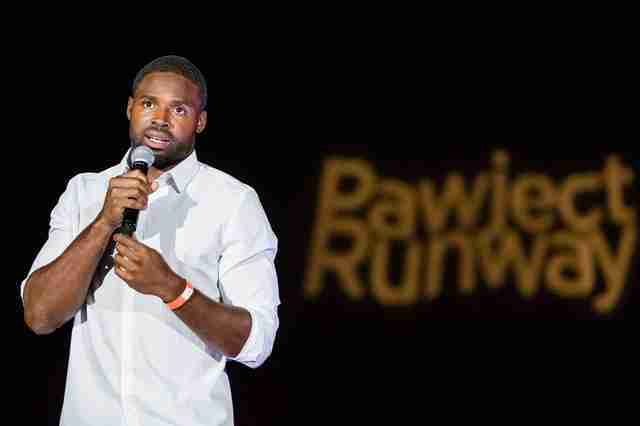 At the end of the event, known as Pawject Runway, which aims to promote awareness about shelter animal adoption, Philadelphia Eagles wide receiver Torrey Smith made a special statement — he and his wife Chanel would be paying the adoption fees for all 46 cats and dogs from local shelter Baltimore Animal Rescue and Care Shelter (BARCS) in attendance that night. The Smiths initially intended to keep their gift quiet. “We never wanted attention for paying the adoption fees,” Smith said. “This was meant to be a thank you to the volunteers and adopters out there, and to help more animals find homes.” However, they decided at the last minute to make the announcement to stress the importance of adoption. 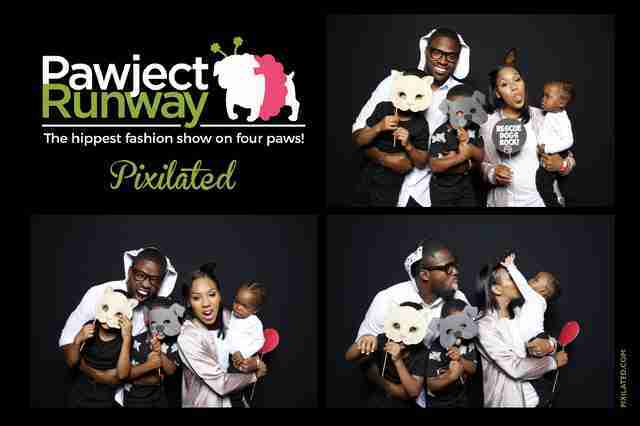 Attendees at Pawject Runway were clamoring for adoption applications after Smith made the announcement. 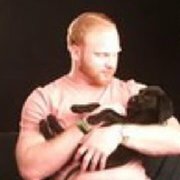 And just days after the show, all 46 animals have now been spoken for, according to Bailey Deacon, director of communications at BARCS. The Smiths even made an additional donation on top of sponsoring the fees — a donation that Smith’s agent matched, Sandra Riesett, founder of Show Your Soft Side (SYSS), a Baltimore-based anti-cruelty campaign, told the Dodo. 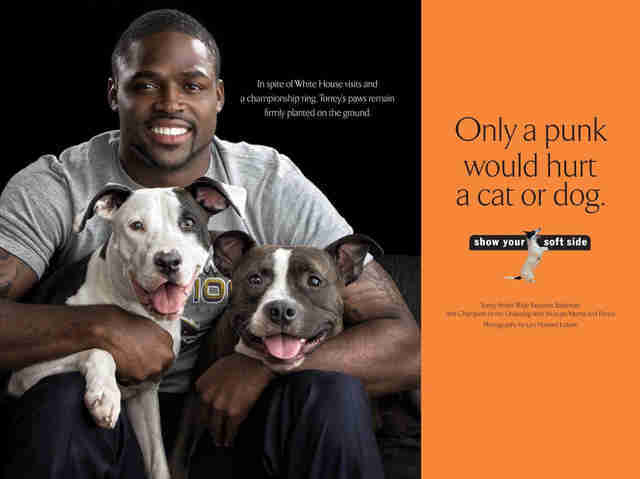 SYSS uses athletes and celebrities (known as “Softies”) like Smith to teach kids compassion toward animals. One of the dogs who was adopted after the Smiths’ generous donation was Sasha, a husky who had been returned to area shelters three times due to anxiety issues and a “Houdini-like” ability to escape crates, according to a post on BARCS’ Facebook page. A couple named Dave and Megan had driven into Baltimore for the event, and they fell in love with Sasha. The couple knew she would be a perfect fit for them and the two huskies they had at home, according to the post. 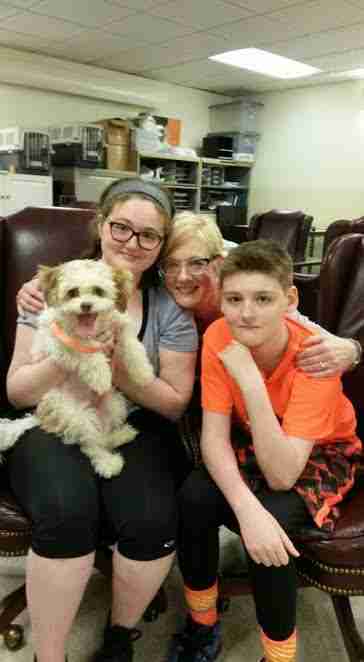 Another pup who found her forever family after Pawject Runway was a bouncy, 7-month-old poodle/bichon mix named Skye. 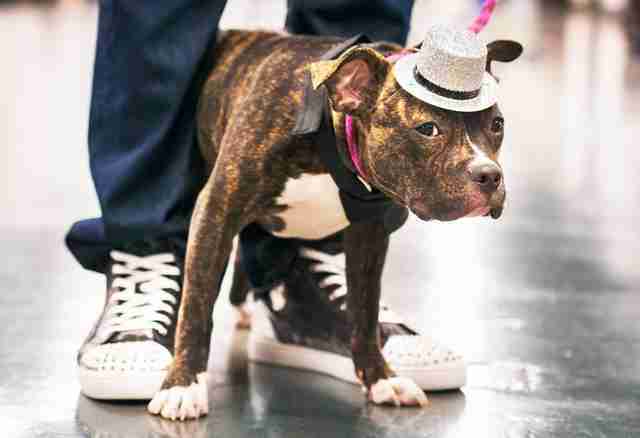 Honey, the dog with whom Smith walked down the runway, was the last dog waiting for a forever home after his announcement — but she was officially adopted this week, according to BARCS. 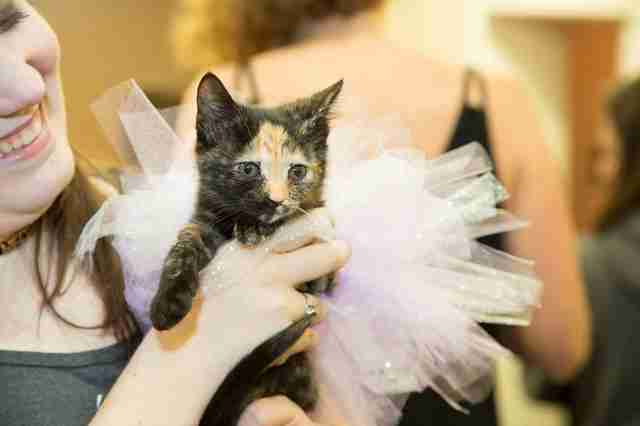 “When I went to Baltimore and became familiar with SYSS and BARCS, animal rescue took on a whole new meaning for us,” Smith, a lifelong animal lover who once considered becoming a veterinarian, said. Smith and his family have been a mainstay within the Baltimore rescue community for some time. Smith once spoke out against the Maryland Court of Appeals when it tried to rule that “all pit bulls were inherently dangerous,” according to Riesett. 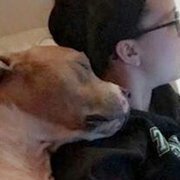 Smith is also an opponent to breed specific legislation (BSL) and the hardships that pit bull stereotypes present an owner, and told The Dodo that he and his family had trouble finding a landlord who would rent to them when they first moved to San Francisco with their pets. While the Smiths may never have expected to get so much attention for something they considered to be a small role in rescue, those involved in animal welfare likely know what a huge impact a donation like this can make. Nearly 6.5 million animals enter the shelters each year, according to the ASPCA, with approximately 1.5 million being euthanized. BARCS alone takes in over 12,000 animals each year — approximately 33 per day. To learn more about SYSS, visit its website. 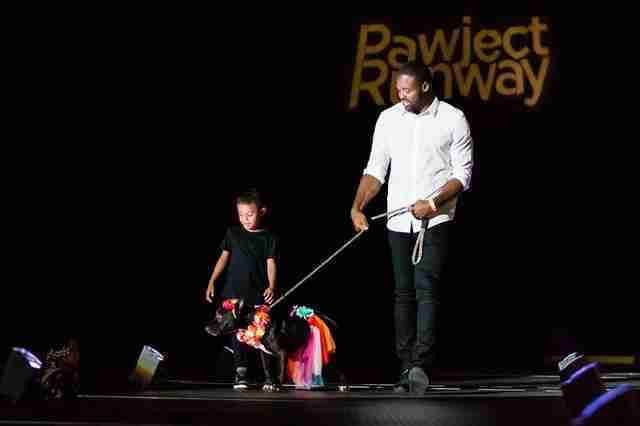 Watch the entire live feed of Pawject Runway 2017 here, and visit BARCS’ website to see animals currently up for adoption or to donate.